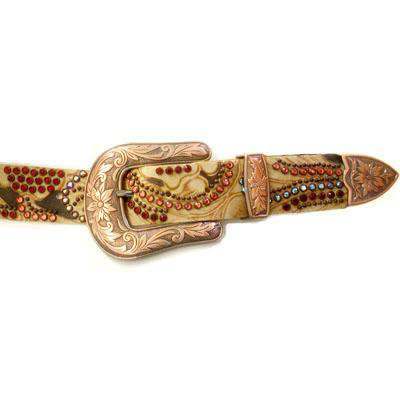 Roses comes with a natural color belt with varying crystals shaped in rose forms. The belt buckle is bronze. 1 1/2 width. Ships in 1-2 weeks.